JHM now carries Motul Gear 300 75W-90 Gear Oil!!! 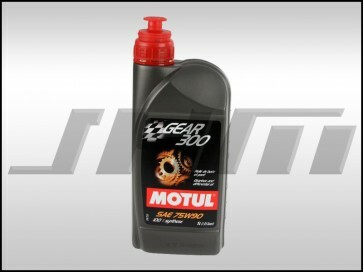 Motul Gear 300 gear oil is a 100% synthetic lubricant for all high performance or racing transmissions. This oil works in synchronized or un-synchronized gearboxes, gearbox or differential, transfer gearboxes, and hypoid differentials without a limited slip system. 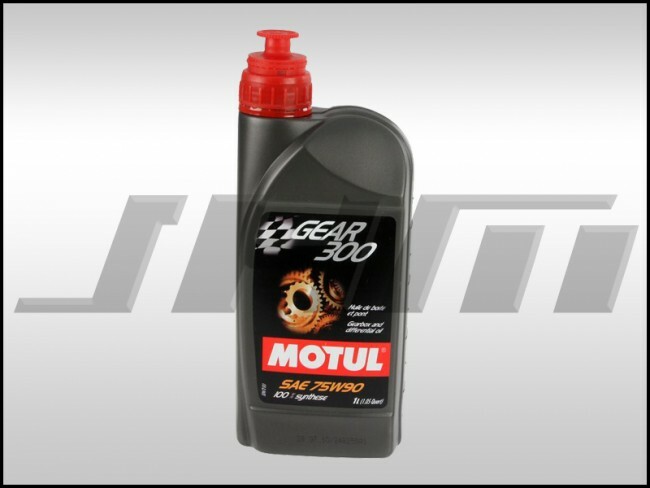 Motul Gear 300 is a 100% synthetic, extreme pressure lubricant for efficient wear protection, a better resistance at high temperature, and a longer lifetime. This gear oil features 0% shear loss making it unshearable oil in even extreme conditions. Specifications: Meets API GL-4,GL-5. OEM Approval: MIL-L-2105D. Common transmission gear oil capacities, courtesy of JHM so you can order the right amount. Common Differential Gear Oil Capacities, courtesy of JHM so you can order the right amount. Don't forget to change the quantity at checkout to make sure you have enough based on the chart above. It is always a good practice to get one extra quart in case of spillage.